In this fan-made standalone Doctor Who adventure game, made by award-winning game modder JubalBarca, you enter a galaxy under threat from the expanding Dalek Empire. Using a classic text-parser system, it's up to you to solve puzzles, gamble on card games, dodge asteroids, navigate mazes, and more as you explore across a range of planets and space stations. Armed with a pocketful of small change and a reasonable knowledge of sandwich fillings, it's time for YOU to fight back and defeat the Daleks! LIFE RETURNS. LIFE PREVAILS. RESISTANCE IS FUTILE. 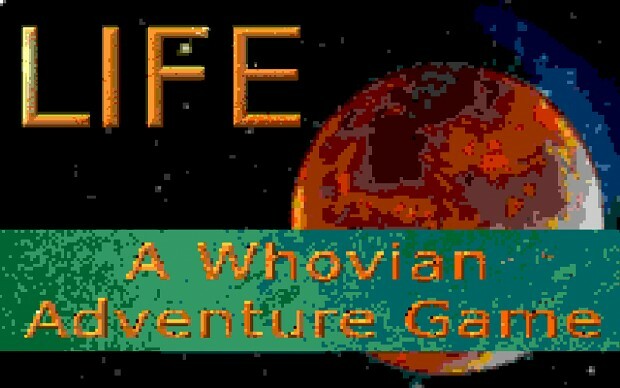 LIFE is a Whovian text based adventure game, fan-made, freely released and set in the Doctor Who universe.